Preheat oven to 190 degrees Fan Forced. Combine vinegar & 3 tbs olive oil in a mixing bowl. 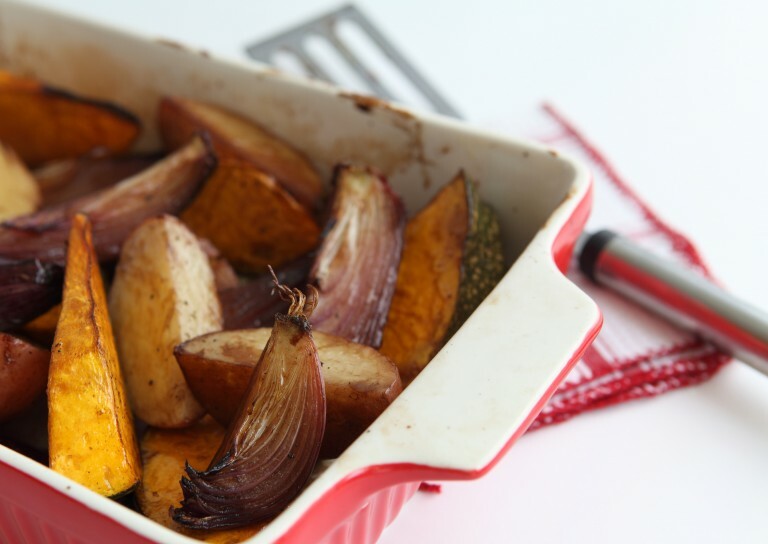 Lay veggies over the bottom of a large roasting dish or pan with the whole garlic cloves. Pour over the vinegar & oil mix and use your fingers to gently coat the veggies. Place into the oven for 30 to 40 minutes or until onions have softened and browned and other veggies are golden and tender. Serve as a side to any roasted, grilled or bbq’d meat, chicken or fish.